Here is a new chapter in very prestigious career of Steve Roach. This time he teams up with a young jewel of EM from England Robert Logan. The genesis of this new adventure in sounds begins at the very beginning of 2000’s when Robert Logan discovers The Magnificent Void. It’s a lightning stroke for the young person Logan who, at 13 years, goes off to explore of Steve Roach’s immense discography. It’s the father of the young Englishman who has started the whole thing by sending to Steve Roach the drawings that his students realized by listening to the albums of the sculptor of sounds and tones of the Earth. Within those correspondences he also sent the ambient music of his son. It’s how the story took shape 4 years ago. They were talking on phone quite often, exchanging ideas and visions as well music files over the Net until they meet at the end of 2015. Two albums will go out of these sessions; the very ambient and meditative Second Nature, which was not planned at all, and this Biosonic which is a long mosaic of 70 minutes where some very esoteric ambiences switch moods and shapes for rhythms of fire which are muddled up by essences of Electronica and which are darkened by organic filters, otherwise industrial. A fabulous rendezvous between 2 artists of which the difference in age, not far from 33 years, doesn’t stain nor has any shadow on the passions which drive them. Those who are familiar with the very Psybient and Industrial approach of Robert Logan, I make a reference to his Inscape album here, will be on familiar ground with the flora of cavernous noises and the suspended beatings which liven up the opening of “Desire: Birth”. Beats of the Earth and its fires stir up the fire over an omnivore fauna. The color and the aggressiveness of the tones reaches its paroxysm up until the dawn of the first minute, where “Desire: Birth” takes the shape of a nice down-tempo. A Chill Out covered with the serenity of the synth layers whose delicate solos roll in loops and dance among allegorical hoops. Quiet the rhythm is like the steps of a wolf which terrifies its prey (moreover aren’t shouts that we hear? ), surfing between a half swiftness and an ambient skeleton decorated with the most beautiful contrasts of psybient. “OmniGen” is in the purest tradition of Steve Roach’s aboriginal rhythms. The pace is intense and breathless, even in its static envelope, with a flight of percussions which bludgeon the hyper ventilated breaths of a ghost tribe. More ethereal, the finale throws itself into the quiet “Ecdysis Activation” and of its sleepy rhythm which wakes up to reach the excitement peak of the tribal dance in “Primal Confluence”. Here the percussions trample with fury in a minimalist pattern fed by organic effects which act as a long sonic sling-shot. Contained in its passive fury, the rhythm is became a victim of its charm with a structure which becomes a little bit hopping (an organic hip-hop maybe?) and an atmosphere which gets more and more stifling. “Erosphere” borrows a little quieter path with another slow, lascivious rhythm which is loaded of ambiosonic layers. 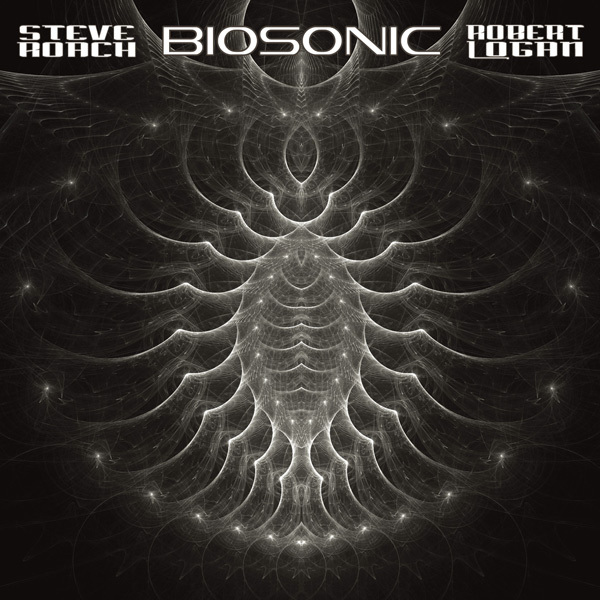 It’s Dark Ambient coated by Steve Roach’s introspections from his Early Man period. The same goes for “The Biomechanoid Lifecycle Revealed” where Robert Logan injects his organic layers in an approach which flirts with psybient. The structure evolves subtly, the bewitchment separating us from the reality, to reach a kind of crescendo raised on good percussions and an increase in sounds of the Earth’s noises. “Atrium” leads us back a little to the basis of Steve Roach’s tribal anthem and music with a passive rhythm. It’s like a trance where those souls fed by morphic drugs illuminate their visions in unison, whereas “Biosensible” leads us to the very dynamical Electronica of Robert Logan. This is quite an interesting track. 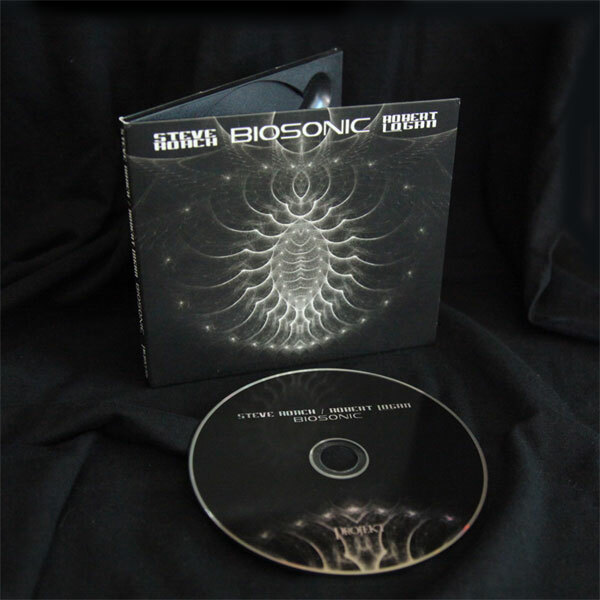 “Amniotic Universe” ends Biosonic on a slow shamanic procession wrapped by these synth layers perfumed of incantatory mysticism. The first 10 minutes are masterful while the last 10 ones crumble the time with a symphony of hollow winds which blows on a plain of which the reliefs make sing the ambiences. 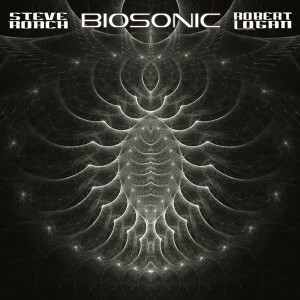 La matassa del duo composto dall’inossidabile Steve Roach, in questa nova avventura coadiuvato dall’inglese Robert Logan, si dipana tra stasi sci-fi e reprise al limite dell’IDM in midtempo accelerando sino al confine con la dance più colta e clubber. Di nuovo assieme dopo l’esperienza, per altro ben riuscita ma era immaginabile vista l’eclettica mente di entrambi Second Nature, in Biosonic il combo si lancia nel Cosmo del suono soundscape/landscape con la consueta mente ‘open’ in grado di garantire ottime linee e synth mai stanchi. Un nuovo lavoro di Steve Roach d’altronde non richiede nessuna garanzia di critica se non il nome ben impresso sulla cover del disco stesso… Nove tracce di cui solamente “Amniotic Universe” pretende il blasone di suite lunga (una ventina di minuti corroboranti): l’energia armonica del duo si fonde, s’intrinseca, si rilassa per poi agitarsi tra le stasi volute e le accelerazioni tipiche di un’ambient spuria in questo caso, liquida in molti frangenti, scorrevole con una quantità di note in successione capaci di garantire fascino e brio. Artwork curato dalla fotografa Kati Astraeir (già assieme ai musicisti in passato come al fianco di altri menti illustri della ‘nomenclatura’ ambient scura e non tra cui Raison D’Etre), grafica invece voluta ancora una volta dal patron di casa Projekt Sam Rosenthal, in Biosonic nulla prevale se non l’armonia di una sequenza di tracce mai distaccata.